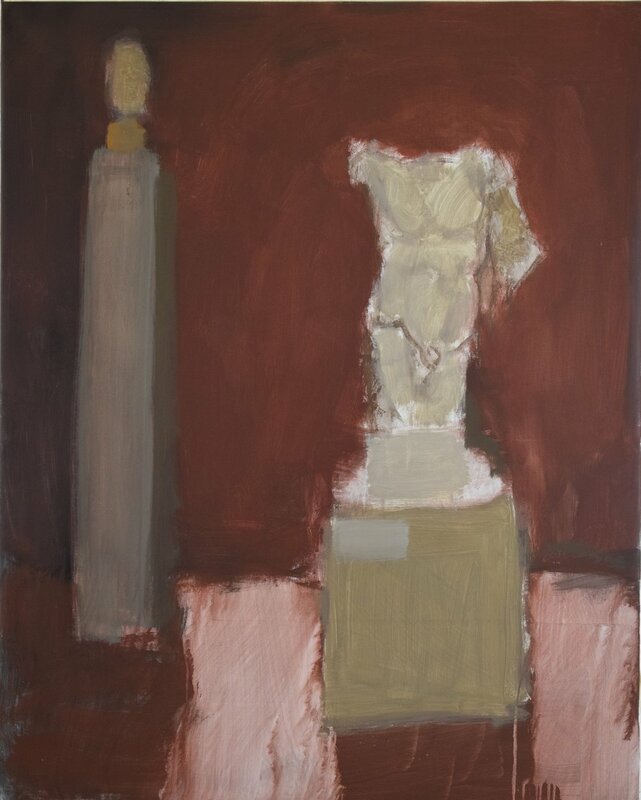 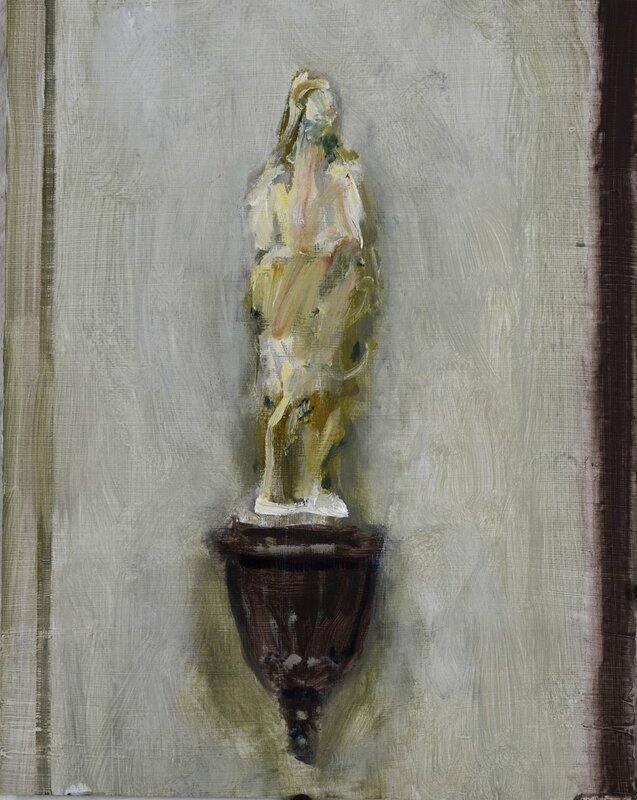 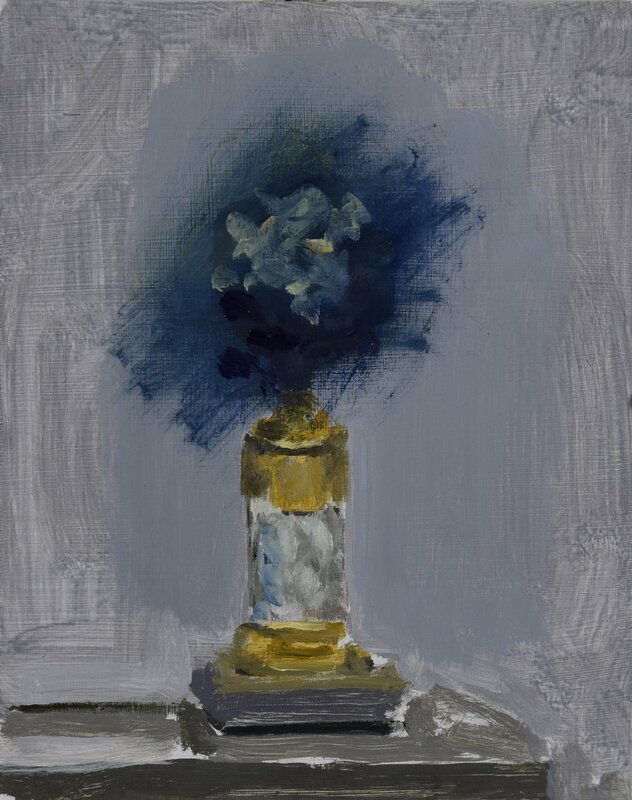 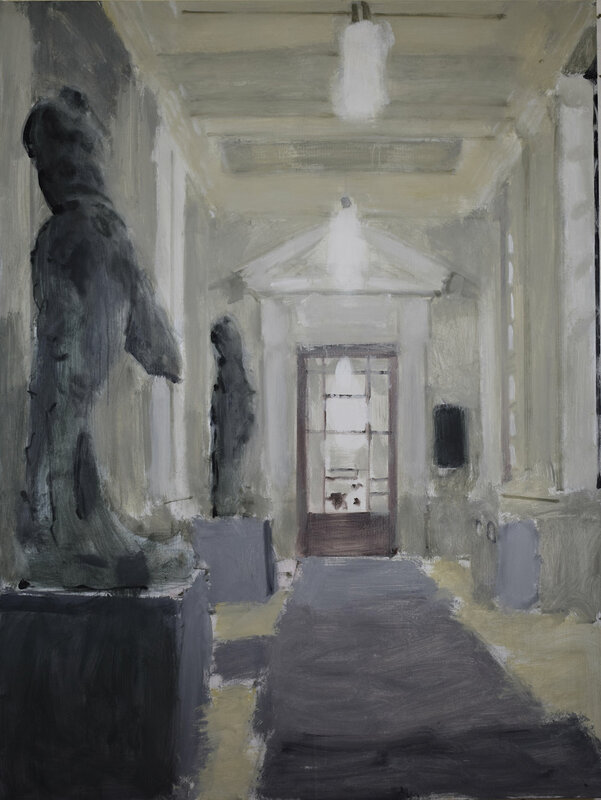 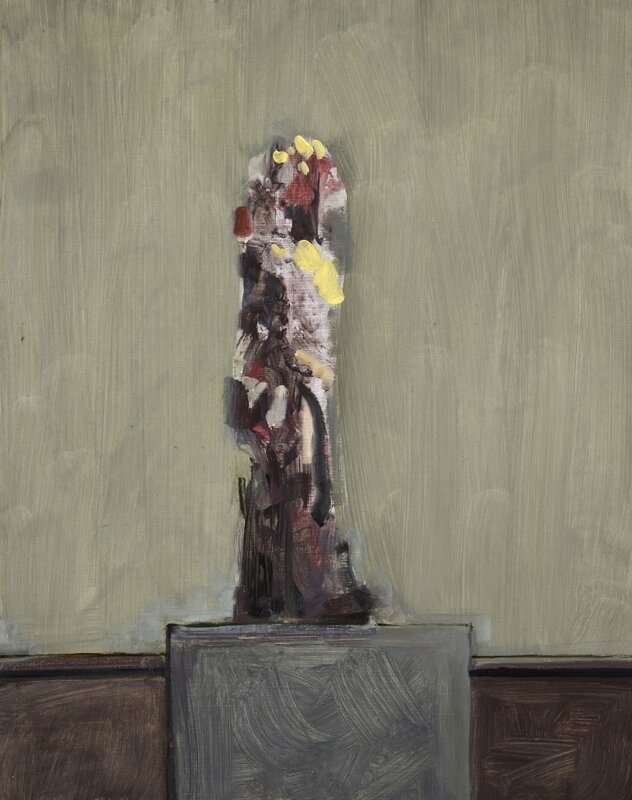 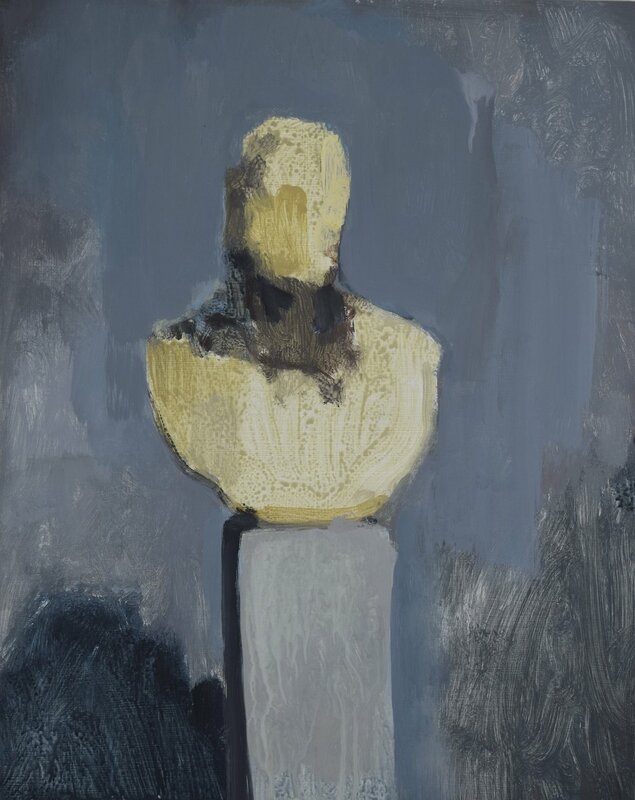 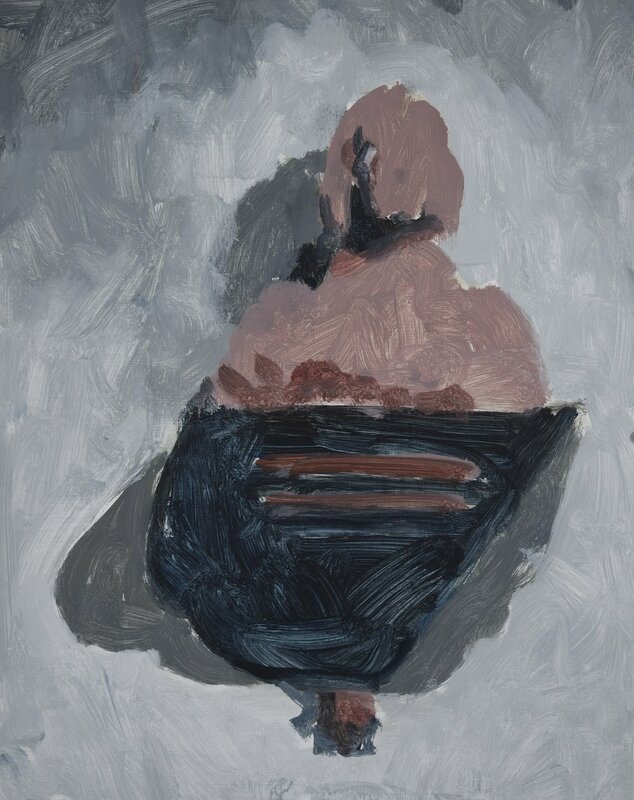 Peter Wilde’s still life paintings of classical sculpture installed within the grandiose interior of old world museums, challenges the viewer to confront the role that spectacle plays in our experience as museum-goers. 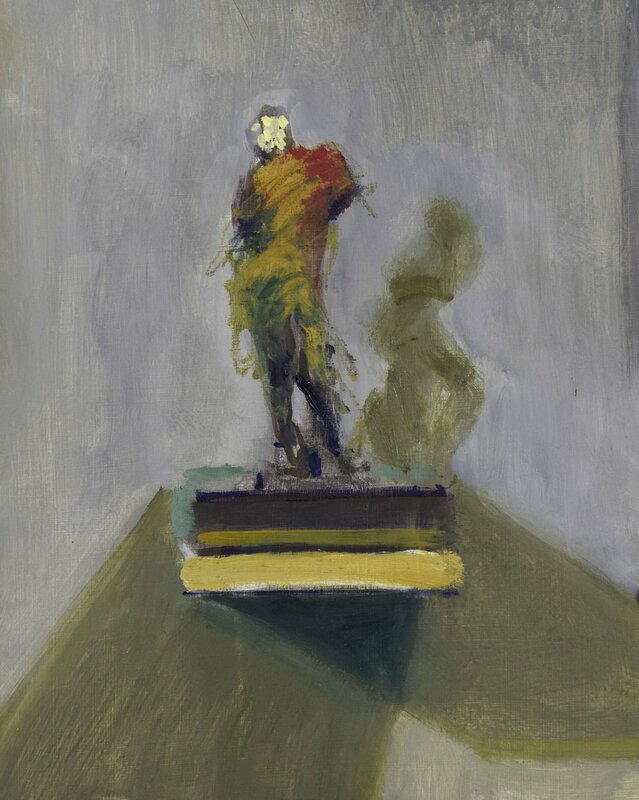 Wilde’s broad, gestural rendering of these familiar, archetypical figures effectively obliterates their identities and undermines their classical fetish for idealized surface and form. 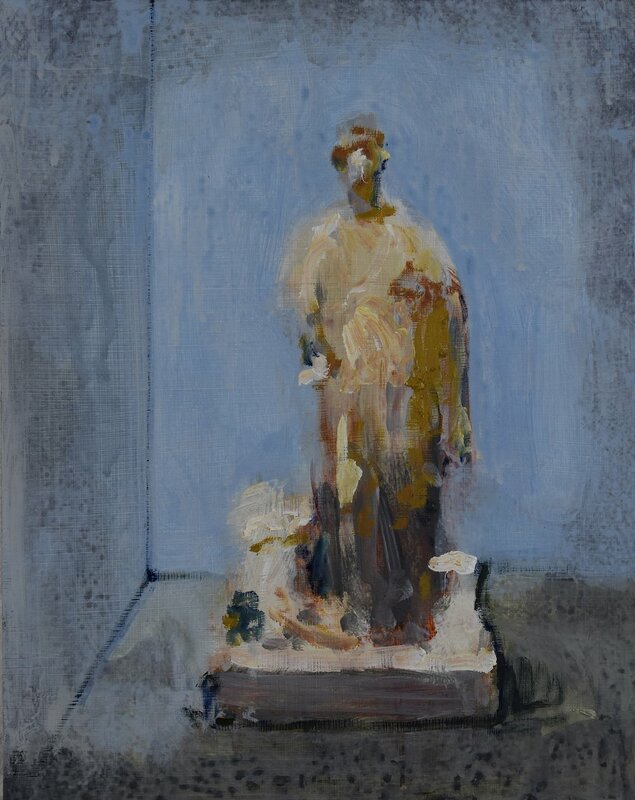 This erasure of the subjects’ identities brings the viewer’s attention to the subtleties of how, as objects, they become performative of both power and poise.